Note. 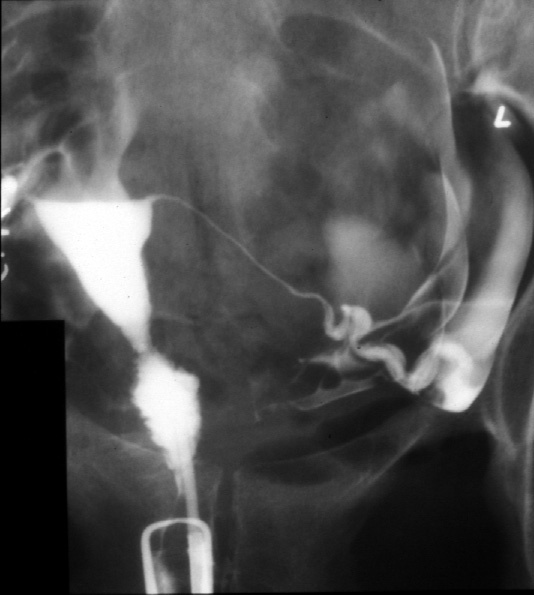 The cervical canal cannulated and contrast is injected. To view at full resolution right mouse click on image and select "view image."